Tired of the traditional chip? Kelpie Chips are gluten free, vegetarian and natural. 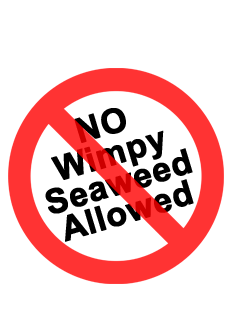 Our seaweed is harvested from pristine, clean ocean coastlines and naturally full of nutritional benefits. Kelpie Chips are made of Dashi seaweed. They are a crispy, crunchy snack, fried to perfection and lightly seasoned in some of your favorite flavors. Kelpie Chips deliver all the crunch and fun of fried chips without the guilt. 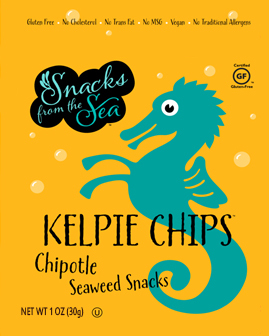 Kelpie Chips are the perfect snack for people looking for a healthy and delicious alternative to the traditional chip! Only $30 for a 6 Pack! !